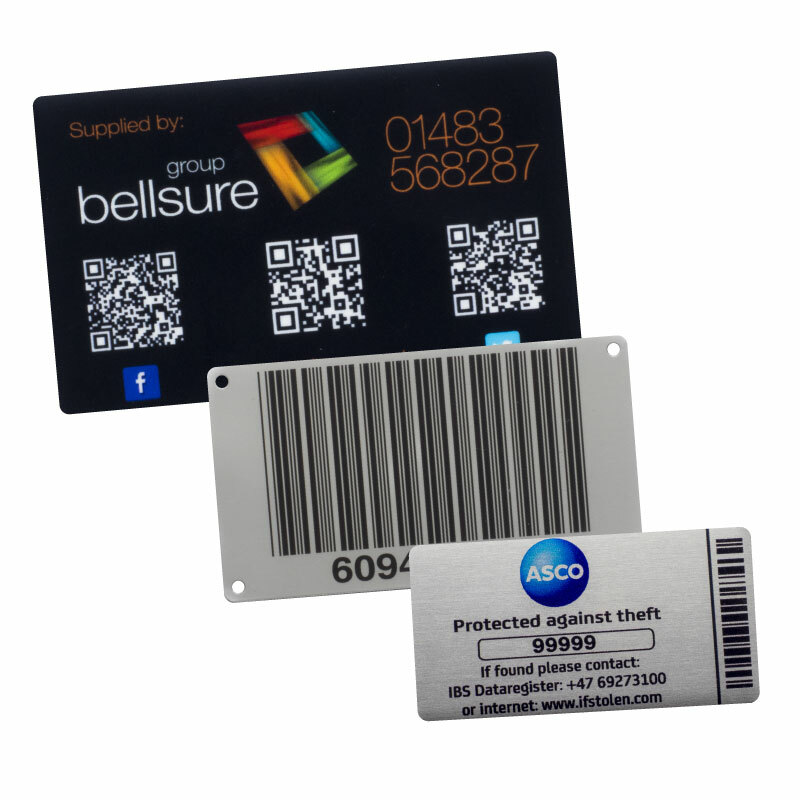 We offer a range of Asset Marking Labels in various metals and plastics including Aluminium, Brass, Stainless Steel, Polycarbonate, Polyester, PVC etc. As well as consecutive numbering we can also supply various format barcodes to your requirements. The fixing method can be either self-adhesive or in the case of metal labels fixing holes can be supplied for screw or rivet attachment.